Photo can boost sales, gather interest and tell stories. Your Images can tell your viewers what your website is about before they’ve read a single sentence. Great product photos do more to sell merchandise than pages of text ever could. But you probably already know that. What you probably don’t know, is how to properly use images to make your website more effective. In this article, I’m going to show you how to get great photos, edit them, and make them work for you! Photo can set a tone, or tell a story. What kind of story does this photo tell? Where Can I Get Quality Photos For My Website? There are many places to get photos for a website, and also places you shouldn’t. Simple Answer: Taking images from these sources can potentially get you sued. Under US law, whenever someone creates something new, they automatically own the copyright, by default. This is actually a good thing. If you write a book, or take a photo, you automatically own the copyright. You don’t have to file for a patent or a trademark even write “copyrighted” on it. The copyright is yours because you made it. If you steal a photo from another website, the copyright owner has the write to come after you. Sure, they might not notice (or even care), but if they do, you could find yourself in serious legal trouble. Why take that chance? Especially, when there are plenty of safe alternatives. Stock photography is a great way to quickly add quality images to your website. 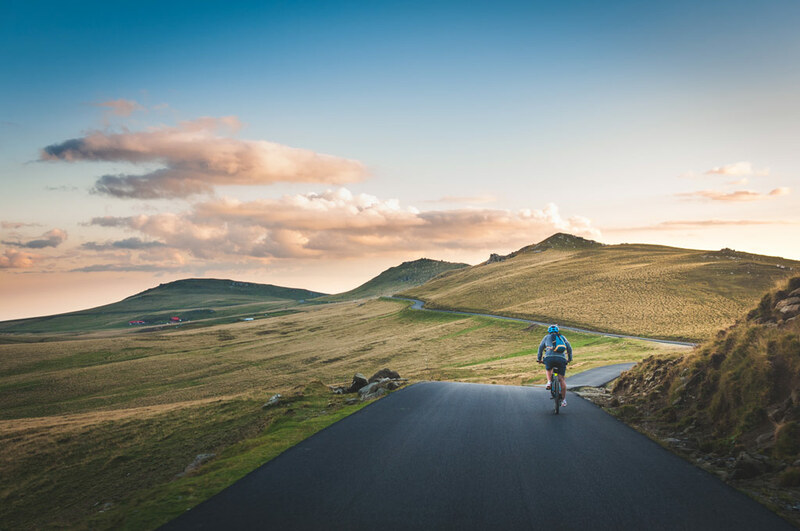 Sometimes stock photography gets flack for feeling fake (and while stock photography will never be as authentic as having real photos taken for your business) it’s still a great way for the average website owner to harness the power of imagery for their website. Until a few years ago, most free stock photography was low quality and unusable for professional purposes. However in recent years, sites like Pexels and Unsplash have changed that. The down side? Free stock photography sites tend to lack the volume and variety of paid stock sites. Yes, you’ll find lots of beautiful photos, but you you might have a hard time finding that specific photo you’re looking for. Check out our guide to 28 Best Places To Get Free Stock Images. 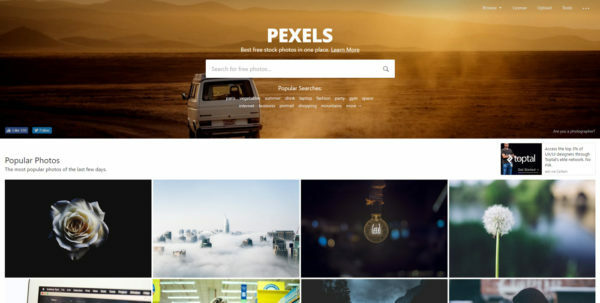 Pexels.com offers quality free photos from professional photographers. Unsplash.com offers featured new photos every week. Commercial stock photography libraries are generally much more comprehensive than their free counterparts. Because you’re actually paying for it, you’re also more likely to find photos that properly illustrate your ideas. The reason is stock photographers have plenty of incentive to take photograph that have a demand. You’ll find lots of photos and illustrations for all sorts situations, because meeting your needs is what makes them money. At our company we use istock.com (though there are plenty of alternatives). Stock images are fine, but when you need high quality photos our your actual business, product, or employees, hiring a profession photographer is a worthy investment. Hiring a professional may cost a few hundred to a several thousand dollars. Which might make you wonder “For that price, couldn’t I just buy a really nice camera and take the photos myself?” …which you could. But in my experience, the person behind the lens is more important than the camera itself. Here’s a true story I once heard from a professional photographer. One day a photographer was out with his friend. His friend had a disposable camera. The photographer had a fancy SLR. His friend said “I wish I had a camera like yours. Then my photos could take great photos too”. Then they walk around and took photos. The reason, was the photographer understood the skill of taking good photos. He knew how to frame great compositions. He understood lighting. He had years of experience. The point is, experience matters. If you want fantastic images, you’ll get what you pay for, but in today’s visual world it’s often worth it to invest in great images. That said, not every image has to be a masterpiece. These days most smartphones have good cameras, and there’s nothing wrong with taking your own photos. Depending on your circumstances, such snapshots might even be more effective than professionally shot photos, because they feel real and authentic. Everything You Need To Know About Image Sizes? If you want your website to be successful It’s important to understand some fundamentals about images sizes. Why? Because if you don’t understand the basics you might make critical mistakes that will hurt your website ranking, and hurt your bottom line. For the novice, misunderstanding about image size can cause confustion, but once you understand the basics, it all makes sense. File size and Image dimensions. Image dimensions describe how wide and tall and an image is (“this image is 1000 pixels wide by 800 pixels tall”). File Size mean how much space the image takes up on your computer (“Gee, this image is 6MB, which is way too big!”). 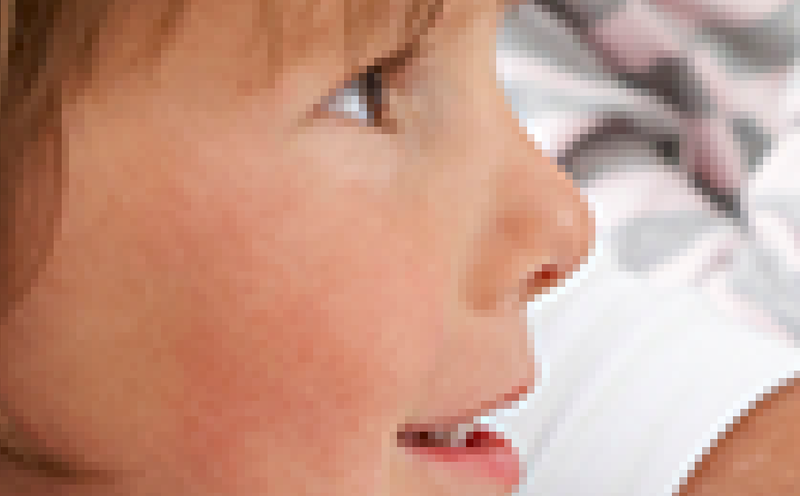 Website images are measured in pixels (often abbreviated as ‘px’). Pixels are the little colored dots of light that make up the image. If you zoom in on an image, you can see it’s up of little squares. Each square is a pixel. All computer files are measured in ‘bytes’. 1000 Megabytes is 1 Gigabyte, etc. On the web, we want our image files to be as small as possible. Why? Because larger files take longer to load, ans slow websites don’t rank well on Google. Ultimately, not compressing your images will hurt you and your customers. If your images is more than 1MB you should optimize it. 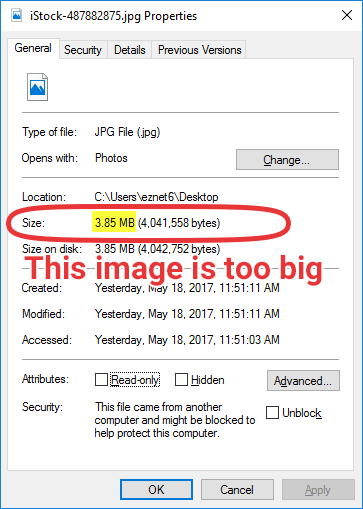 So, How Big Should My Image File Size Be? This is a common question, and while there are no hard-and-fast answers there are some good guidelines. In general, your web images less than 150kb. If some images are a little bigger that’s okay, but if your image is more than 1MB, you know you need to optimize it. What Dimension Should My Image Be? For most purposes your images should be between 600px to 1200px wide. Really large photos could be between 1400px to 1900px wide. Very few screens are bigger than 1920px wide, (although new 4K & 8K screens can be much wider. We don’t recommend making your images that large because it will slow down your website load-speed). In order to optimize your images, you’ll need a photo editor. 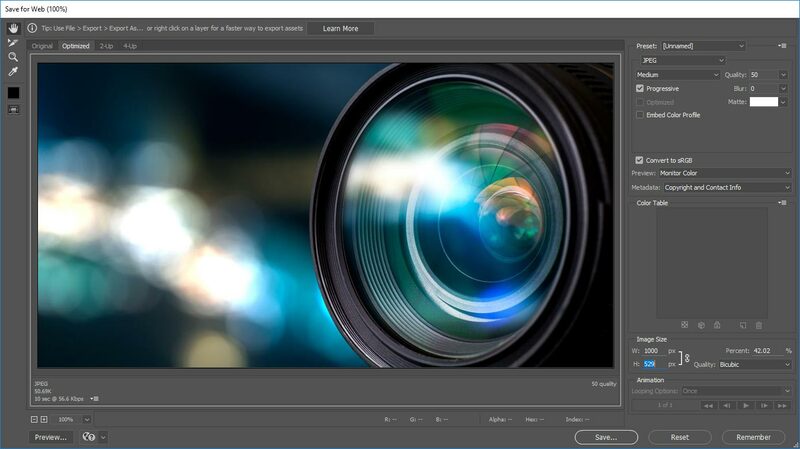 If you only need to edit photos on occasion a web-based photo editor is a convenient way to quickly optimize a few photos. Pixlr.com – Free Online Photo. Works a lot like Photoshop. No Sign-in required. BeFunky.com – Another Free Online Photo Editor. No Sign-in required. If you edit images even somewhat often, using a desktop program will serve you better than an online editor. In fact, you probably already have software that can do basic photo editing. Microsoft Paint – If you’re running Windows, you already this. Just click the windows icon in the bottom-left corner type “paint” . 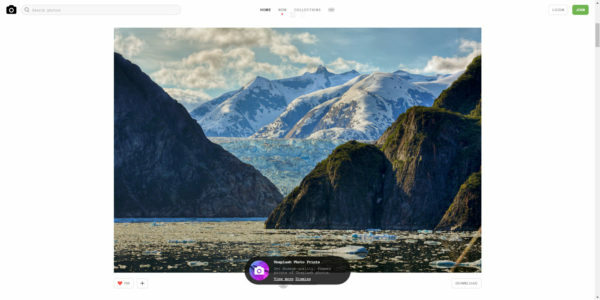 Apple Photos – If you’re running a Mac, you can use the “Photos” app already installed on your computer. Adobe Photoshop – A premium photo editor for professionals. It’s expensive and not for beginners, but a fantastic tool in the right hands! Looking for more options? Read A Quick Guide To Design Tools. Photoshop’s “Save For Web” feature which allows you to resize and compress your images. Should You Rebrand Your Current Website?